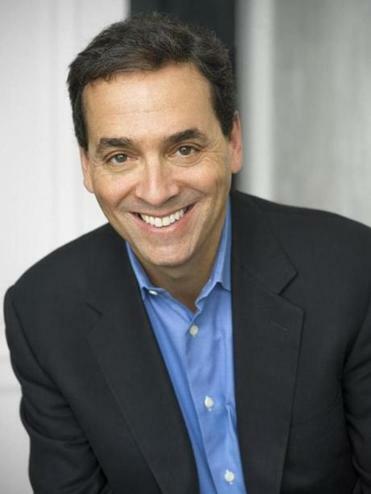 In his best-selling book “When: The Scientific Secrets of Perfect Timing,” Daniel H. Pink explores what current research tells us about how to time what we do when, from taking a test to going to the hospital to getting married. Pink has written six books on work life and behavior. He was formerly a speechwriter for Vice President Al Gore and lives in Washington D.C. “When” came out in paperback earlier this month. PINK: I just started “Behave” by Robert M. Sapolsky, a biologist at Stanford University. Even in paperback, it weighs as much as a newborn baby, but everyone has told me it’s one of the best science books they’ve read in a while. It’s about the biological basis of behavior. BOOKS: What are some of your favorite books about human behavior? PINK: In the past 20 years there’s been an explosion of really excellent books. “Influence” by Robert B. Cialdini is one. “Mindset” by Carol S. Dweck had a big effect on how my wife and I raised our children. “Grit” by Angela Duckworth is an extraordinarily powerful book. One of my favorite books last year was called “Rule Makers, Rule Breakers” by Michele Gelfand. BOOKS: When did you start reading about behavior and work? PINK: When I was a kid in Columbus, Ohio, my mother brought home “Working” by Studs Terkel from the library. I was maybe 11 or 12. I read the chapter about the baseball player and then about the prostitute. Then I read the taxi driver and the nurse. I discovered that hearing people talk about what they do and why they do it is fascinating. PINK: A fair amount of fiction because I enjoy it and because fiction gives you a window into behavior that doesn’t require footnotes. One of my favorite novels in the past two years is “The Power” by Naomi Alderman. It’s a dystopian story in which women have the power to deliver an electrical charge that debilitates men. BOOKS: Are you drawn to dystopian work? PINK: In the last two years I’ve been really drawn to it because fiction has started becoming more like reality. Another interesting dystopian book is “Vox” by Christina Dalcher in which women are only allowed to speak 100 words a day. I’m also reading more books by people who don’t look like me, a straight, white, American male. One of my favorite novels from last year was “Convenience Store Woman” by Sayaka Murata, a short novel about a woman who works in a Tokyo convenience store. BOOKS: Are there lessons from your book that apply to reading? PINK: Cognitive abilities change over the course of the day so there are better times to read than others. People peak in the morning, then there’s a trough in the afternoon and a recovery in the evening. If you are reading for analytic understanding it’s better to do that at the peak. So I’ve begun scheduling a half hour of reading each morning, and keep it sacrosanct. That is how I’m reading the Sapolsky. I’m not going to want to read charts of dopamine production at 11 p.m., but in the morning I’m all over them. PINK: I used to read a lot more about politics, but some of the best books I’ve read in recent times have been at the junction of politics and social science. “Uncivil Agreement” by Lillianna Mason is not a well-known book, but it should be. She makes a powerful case for why identity has become the most important factor in American politics. Another book that was transformative for me is “The Righteous Mind” by Jonathan Haidt, which is about moral reasoning. BOOKS: What else have you been recommending to people lately? PINK: Two books coming out this spring that I read in galleys. “Range” by David Epstein. That is about why generalists will flourish more than specialists. The other is “Late Bloomers” by Rich Karlgaard about how we’ve oversold early achievement and undersold the tortoise-like achievement of people later in life. I want to believe that’s true.